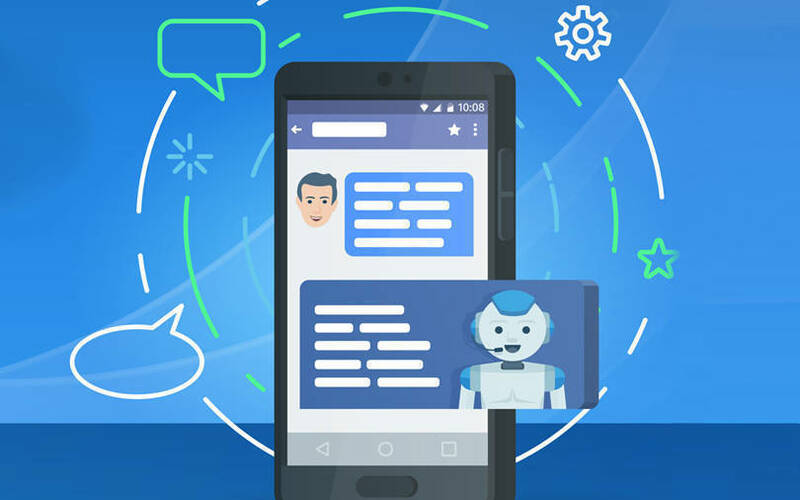 Enterprise chatbots, which made a humble start a few years ago by addressing queries, have quickly metamorphosized into systems that can know human intent, combine knowledge processes and provide the most accurate response. This has been made possible by a technology which is synonymous with that ever-famous buzzword, artificial intelligence (AI). And the banking, financial services and insurance (BFSI) sector seems to be making the most out of the surge in innovations led by AI. Why is the BFSI sector so keen on AI chatbots? Because chatbots can save banks billions of dollars in the coming decade. Juniper Research says that chatbots can result in annual cost savings worth $8 billion by 2022. Information technology research and advisory company Gartner predicts that bots will be handling close to 85% of all customer service interactions as early as 2020. Indian BFSI, too, is neck-deep in chatbot tech, partnering conversational AI platforms such as Payjo, Senseforth and Haptik. “Everything that can be done on a website, can be done with the help of a chatbot: From checking balances to handling multiple transactions to solving problems. The way in which AI is able to fulfil requirements, purely from a natural language input, is amazing,” says Sridhar Marri, CEO and co-founder of Senseforth and a PhD scholar in conversational AI from the National Institute of Design. Chatbots are seen as replacing traditional tech such as phone, email and text, and removing humans, at least from basic process-driven tasks. ICICI Lombard’s MyRA, launched a couple of years ago, has already served 60,000 customers, and has sold policies to 850 clients, without any human involvement. “We are using AI-based chatbots to allow customers to buy two-wheeler insurance, renew health and motor policies. Customers who don’t like to call can easily communicate via the chatbots. Payment facilities are also available through chatbots,” said Girish Nayak, chief of customer service, operations and technology at ICICI Lombard. Additionally, UTI Mutual Fund, with over 10 million members in its portfolio, deployed its chatbot in 2018 to answer queries. The bot is integrated into the Facebook homepage of UTI and can help with a few queries that would otherwise require a human to address. Apart from UTI, banks such as ICICI Bank, HDFC Bank and State Bank of India have already deployed chatbots. The way in which chatbots are able to engage a huge user base will be a game changer. “If you have 50 million customers, how do you know that they have no problems, that their needs are fulfilled or if the teams are serving them well? Enterprises can become impersonal as the size increases, maintaining banks are costly and with this scenario, automated conversations are key,” says Marri. What is the future for chatbots? Marri predicts that each person will have their own personal bot. “Tomorrow, it could be a bot built for the individual, which integrates banking, food orders, redressal systems and all service interactions. This is how the future will work,” Marri says. With the chatbot industry predicted to grow at a compound annual rate of 24.1% to $3.14 billion by 2023, it is a no-brainer that chatbots are here to change BFSI and many other enterprise segments. But the question is how the communities can regulate and accept these technologies to make the most of them.